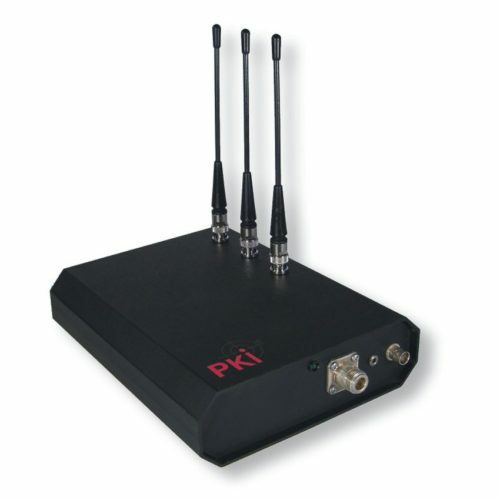 The PKI 6140 is a small and compact Cellular Phone Breaker for most kinds of cellular communications. Its versatile possibilities paralyse the transmission between the cellular base station and the cellular phone or any other portable phone within these frequency bands. Therefore the PKI 6140 is an indispensable tool to protect government buildings, military camps, prisons, religious establishments like churches and mosques, petrol stations, cinemas, theatres, casinos, recording studios, and much more. Tx output power: 1 Watt each for the selected frequencies of 800, 900, 1850-1950, can be adjusted by a dip-switch to low power mode of 0,5 Watt.